Today, Ben Frost releases the physical version of his new single “Ionia,” which comes backed by a reworking by Jlin. While both artists use electronics to create monoliths that occupy the outer edges of contemporary popular music, you wouldn’t necessarily mark them for a collaborative pair: where Frost’s music is often icy and droning, Jlin’s is hyperactive and filled with skittering motion. 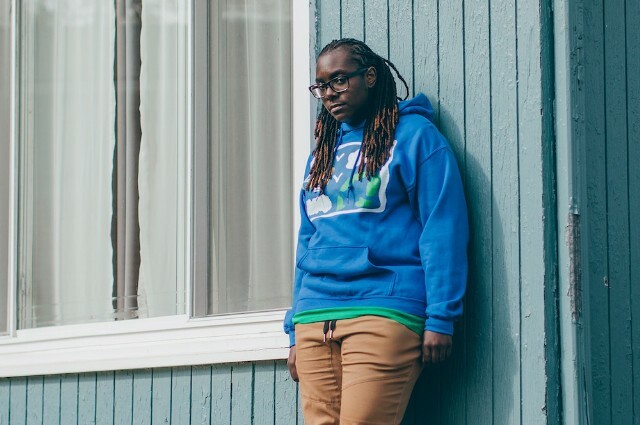 But Jlin has worked magic outside of her comfort zone before–see last year’s Factory Floor remix for evidence of that. The “Ionia” remix is not yet available to hear in full digitally, but you can hear a snippet of about a minute here, or purchase a physical copy of the single. Hear the full version of the original “Ionia” below. Read SPIN’s May cover story on Jlin here.